A ringing sound in your ears. Feeling like your ears are stuffy. That your jaws make noises when they open and close. Limited ability to chew or move your jaws. An injury to your jaws. Your dentist can assist you in relieving your pain and protecting your teeth and jaw from damage using several different types of treatments. 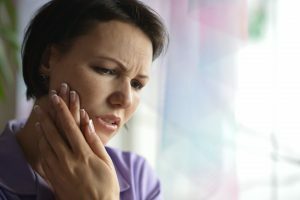 A jaw splint remains one of the most frequently used treatment methods for treating TMJ and preventing teeth grinding. People grind their teeth for many reasons including stress and incorrect bites. Wearing a hard or soft plastic jaw splint over your teeth keeps them from grinding and irritating your jaws. Our talented dental professionals will make a mold taken of your teeth. A comfortable piece of plastic that has been shaped to precisely fit your teeth will be made for you that keeps you from grinding your teeth and irritating your jaw joint further. Wearing a jaw splint doesn’t correct the reason for your jaw pain, but, in most cases, wearing a jaw splint that looks like a heavy-duty retainer, give our patients great relief from their jaw pain. If you want to be headache free and have less pain in your neck and jaws, contact our office for more information on https://www.dulaydental.com/.